The following slides show the benefits and advantages of using concrete forms. 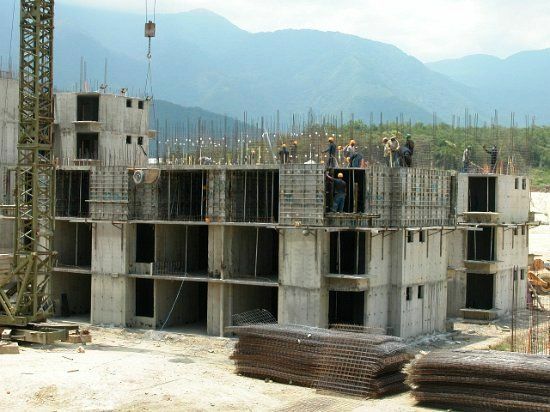 The WTF Concrete Forms System is unique because it forms all of the components in the structure including, walls, floor slabs, columns, beams, stairs, window details, balconies, and various decorative features in exact accordance with the architect's design. No other system can match WTF Concrete Forms flexibility to handle all design conditions. 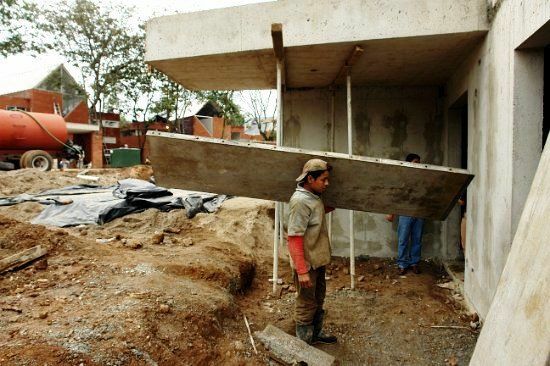 The WTF Concrete Forms System is erected by unskilled labor and without the need of hoisting cranes. The largest component weight is not more than 32kgs (70 lbs). This enables a single worker to handle the concrete forms components. 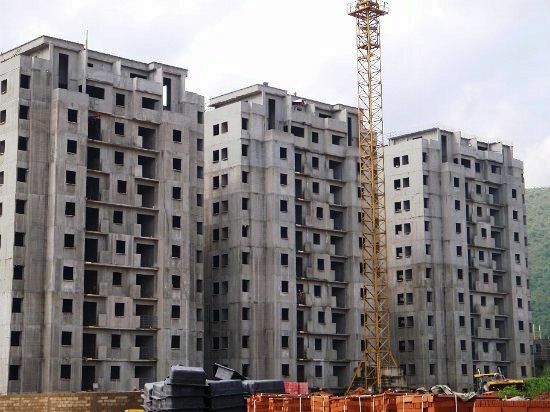 The forms and other sections are secured and fixed with steel pins and wedges with steel formwork ties. The only tool required is a hammer. 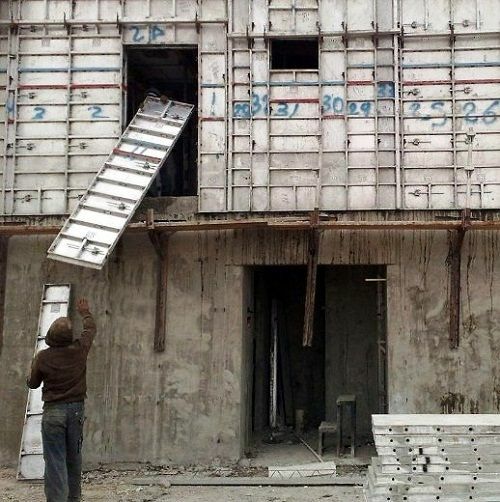 The WTF aluminum concrete forms system can save as much as 10 - 20% of the total cost of construction and increase speed as much as 30 - 50% over traditional methods such as block and post/beam construction. 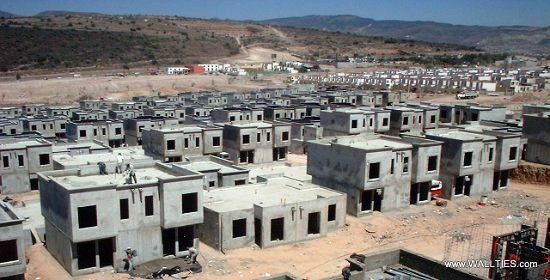 The WTF Concrete Forms System for concrete construction is the most versatile construction system in the world. Unlike other systems, it is equally suited to construct both high and low rise structures. 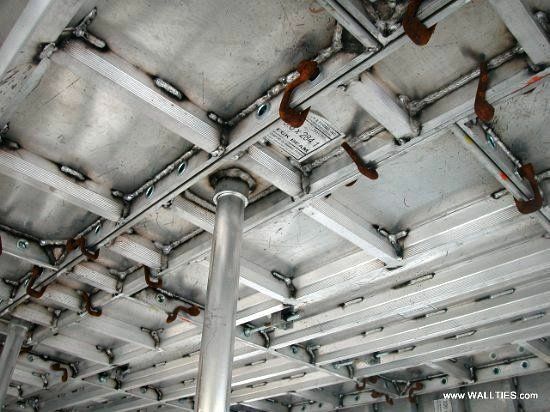 The aluminum concrete forms system is specifically designed to allow the rapid construction of multiple unit projects. The system is cycled daily to achieve optimum productivity. 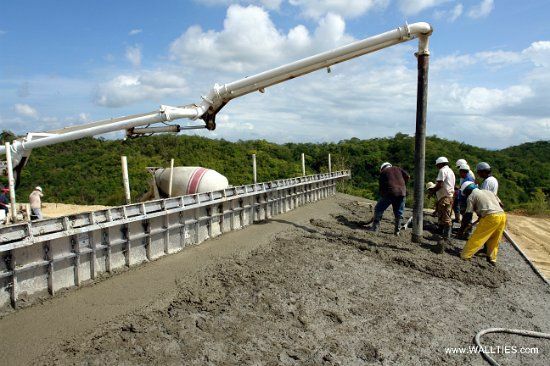 The simplicity of the WTF Concrete Forms Systems is ideal for unskilled labor and enables unskilled labor to achieve the highest of production rates. Every component is light enough to be handled by one worker, minimizing the need for heavy lifting equipment. The only tool needed to erect the formwork is a hammer. 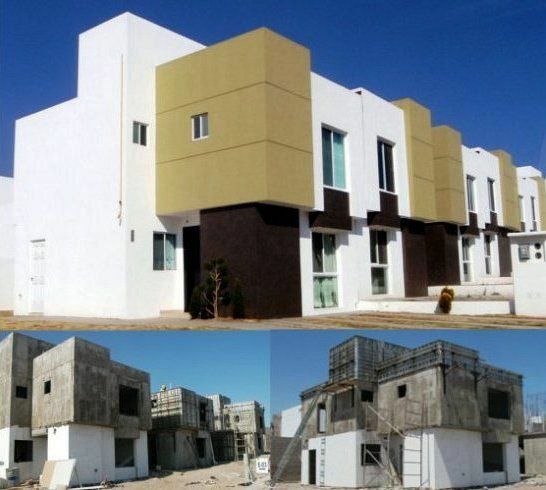 WTF aluminum concrete forms system enables the developer to cast most if not all elements of the structure. This includes structural, non-structural, and architectural elements. The aluminum concrete forms system for these structures included all elements, structural, non- structural, and architectural. The architectural elements include, radius headers, decorative columns, pitched concrete roof, and rain gutters cast directly into the decorative moldings. Casting all elements with aluminum concrete forms achieves a cost savings of 10-20% over traditional methods. Casting all elements also speeds construction 30 - 50% over traditional methods. This is achieved by the speed of the aluminum concrete forms system, the reduction follow on trades, and the ease of finishing the surfaces. 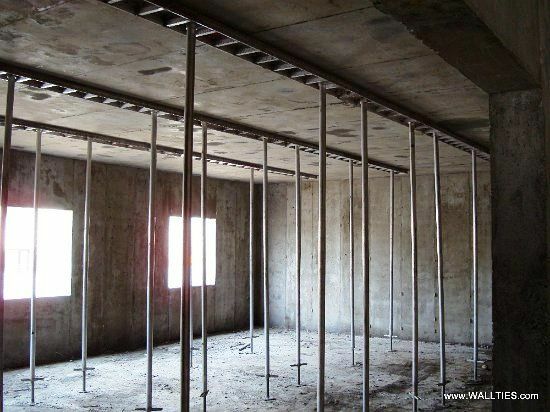 One of the principal technical features which enables the speed to be attained using a single set of aluminum formwork is the unique deck beam system. This allows the formwork removal to take place while leaving the deck supports undisturbed. 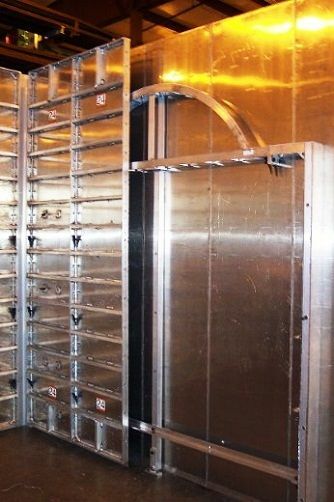 The aluminum deck formwork can then be reused immediately. The precision of the WTF Formwork enables doors and window frames to be directly installed on site with no re-sizing required. Because openings are so precise, the developer can be confident in the pre-purchase of doors and windows. Often times the developer can purchase these items for an entire project with huge cost savings. The concrete surface produced with the formwork allows achievement of a high quality wall finish without the need for extensive plastering. 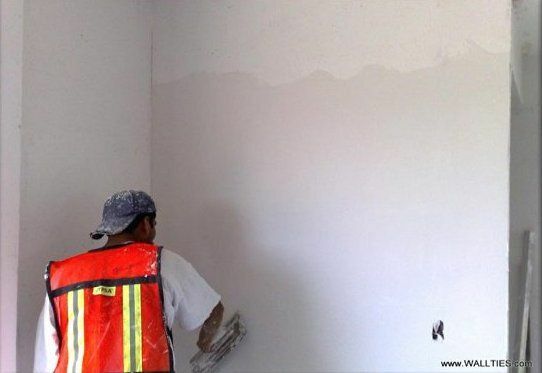 Typically a 3mm to 4mm skim coat is applied prior to finishing with paint. Because the WTF Concrete Forms is constructed with the highest quality aluminum and welded with robotics, developers can expect 2,000 uses or more with proper care. Often times the formwork outlives the life of the project and can be cycled to a new project. 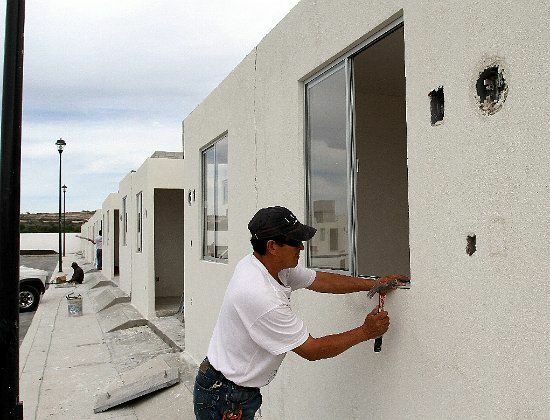 Because the formwork is modular 70- 90% of the forms are easily adapted to new construction projects. 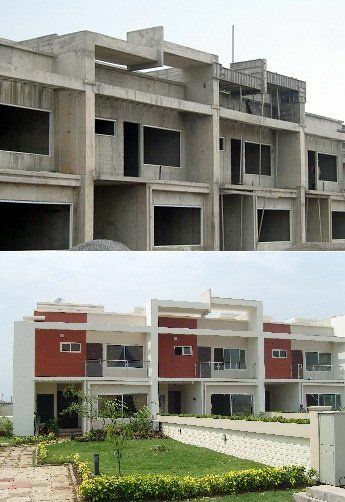 From foundation to multi-story construction, the following illustrate the WTF Formwork process. 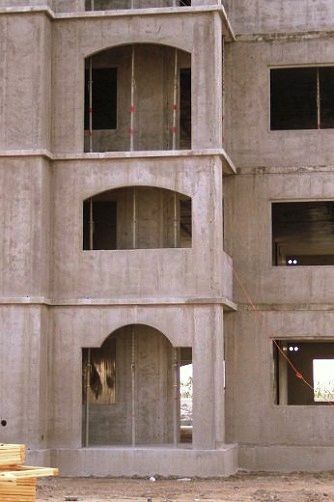 The WTF Aluminum Concrete Forms System is unique because it forms all of the components in the structure including, walls, floor slabs, columns, beams, stairs, window details, balconies, and various decorative features in exact accordance with the architect's design. No other system can match WTF Aluminum Concrete Forms flexibility to handle all design conditions. 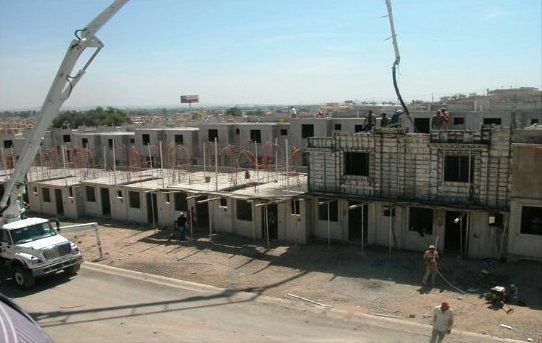 The WTF Aluminum Concrete Forms System is erected by unskilled labor and without the need of hoisting cranes. The largest component weight is not more than 32kgs (70 lbs). This enables a single worker to handle the aluminum concrete forms components. 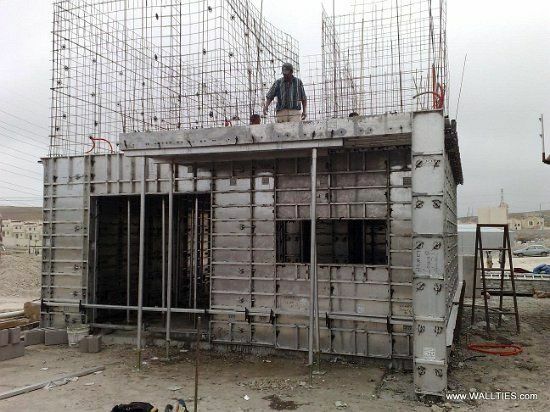 The forms and other sections are secured and fixed with steel pins and wedges with steel formwork ties. 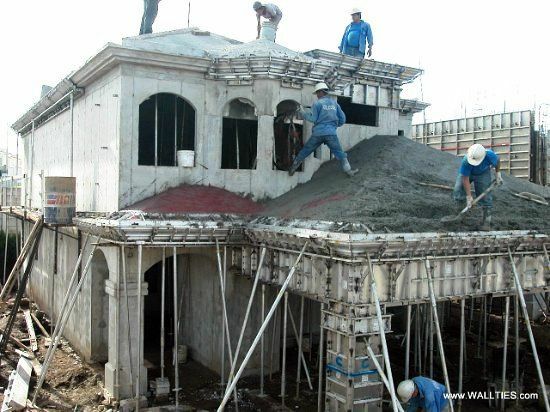 The WTF Aluminum Concrete Forms System for concrete construction is the most versatile construction system in the world. 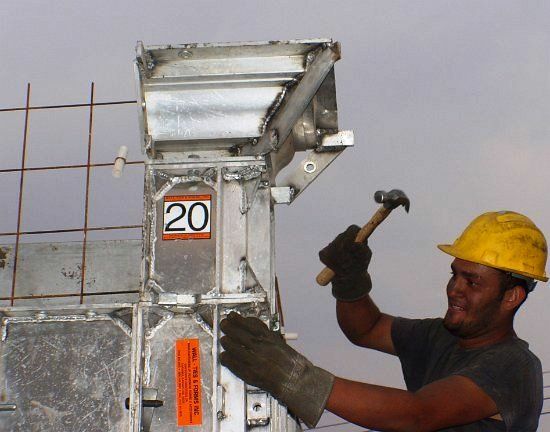 The simplicity of the WTF aluminum concrete forms systems is ideal for unskilled labor and enables unskilled labor to achieve the highest of production rates. The only tool needed to erect the concrete forms is a hammer. One of the principal technical features which enables the speed to be attained using a single set of aluminum concrete forms is the unique deck beam system. This allows the concrete forms removal to take place while leaving the deck supports undisturbed. 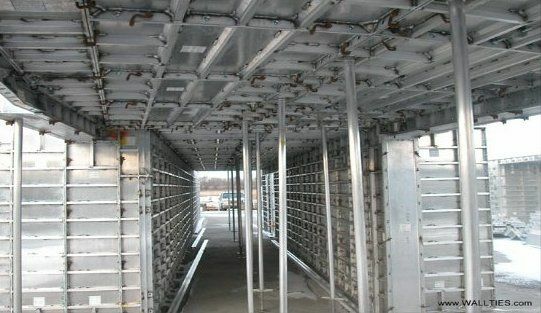 The aluminum deck formwork can then be reused immediately. 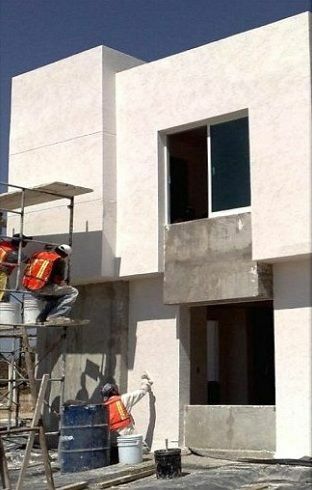 The precision of the WTF concrete forms enables doors and window frames to be directly installed on site with no re-sizing required. The concrete surface produced with the concrete forms allows achievement of a high quality wall finish without the need for extensive plastering. Because the WTF aluminum concrete forms is constructed with the highest quality aluminum and welded with robotics, developers can expect 2,000 uses or more with proper care. Often times the concrete forms outlives the life of the project and can be cycled to a new project. 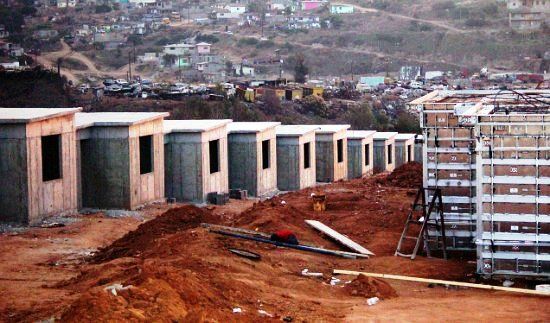 Because the concrete forms are modular 70- 90% of the forms are easily adapted to new construction projects. 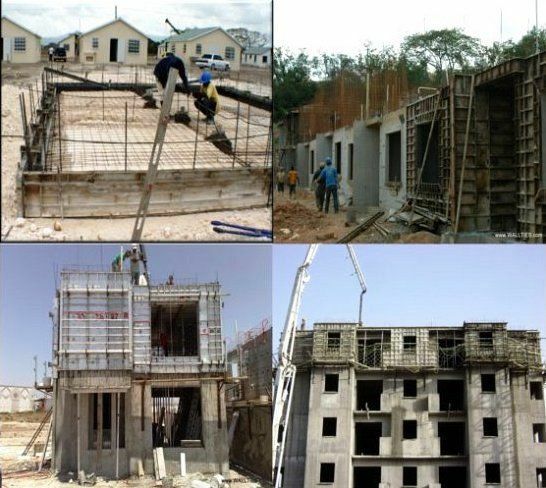 From foundation to multi-story construction, the following illustrate the WTF concrete forms process.